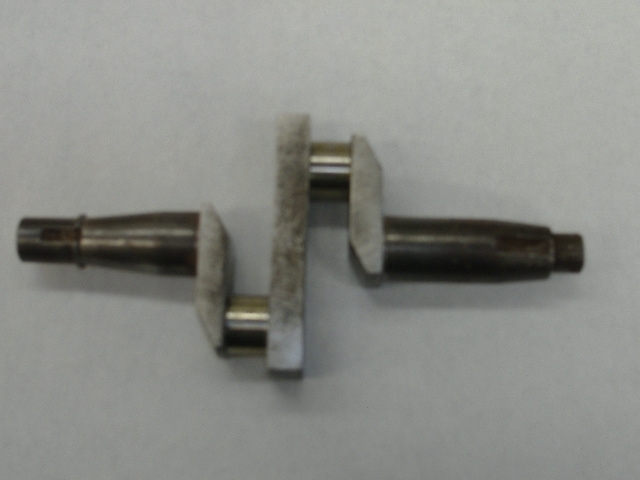 Crankshaft with reground journals (both journals are ground undersize and the same size). This will need oversize rollers made, their size is dependent on the size of the con rod eye. Only one crankshaft left for sale.